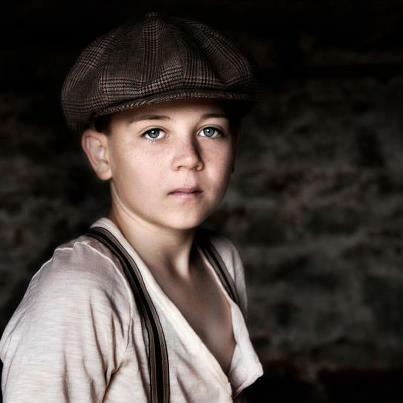 Brooke Orchard's stunning vintage photography shots, were exhibited at Love Vintage Show in Melbourne a few weeks back. 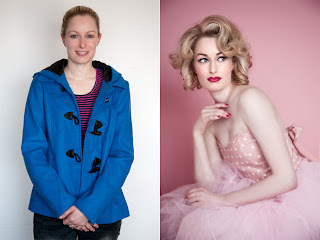 Brooke's work encompasses vintage styled artistic shots, with complete packages including hair, make up and styling "I have hair and make-up stylists that I use for this although I sometimes help out with the make-up" says Brooke. "My aspiration as a photographer is to create images that have strong visual impact, but they must also have soul!" Brooke Orchard. Brooke's work is professional, beautiful, and exceptionally glamorous. Whilst Brooke often works from home in Point Cook, she also travels across Melbourne and beyond to complete her work "I consider my studio to be anywhere really, anywhere that I can achieve the quality of light I’m looking for dependent on the project at hand too of course. I’ll often shoot on location or at a client’s home. I am happy to travel taking all things into consideration". I asked Brooke to tell us a little about herself, and her inspiration behind her vintage inspired art and her work as a photographer. "I like original, I like meaning, I like real, I like deep, I am a dreamer and I simply love creating beautiful images. People’s personalities, uniqueness and their individual journeys are of great fascination to me which I guess accounts for my passion for portrait photography." "I originally started shooting vintage whilst studying photography, it was during this time that I got the notion to combine my love of imagery and vintage fashion. My inspiration for ‘Vintage Fashion’ was born out of old movies, as a girl I would watch movies spanning from the 1930s- 50s. I absolutely fell in love with the way the women looked, so elegant, classy and feminine, not to mention stylish"
"The 1950s silhouette I found particularly appealing, who could go past those hourglass curves? The look for me holds such a wonderful combination of contrasting qualities, it is both soft and feminine yet strong and striking at the same time, then you have this delightful concoction of alluring sensuality softened by innocence and vulnerability; sweetly tempting!" 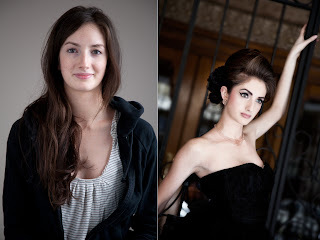 Interested in seeing some 'before and after' transformations? ..
Aside from Brooke's vintage inspired art she also likes to photograph children "I love history so I often do children’s theme shoots that have a historical or fairytale element to them." Would you be interested in getting your own vintage portrait done? 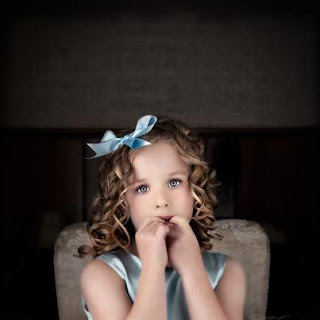 Prices for vintage glamour sessions are $450, basic portraits which do not include hair and make up are less. Mention you've heard of Brooke Orchard Photography via Recycled Fashion, as Brooke has kindly offered a 10% discount on a shoot and any products for all Recycled Fashion readers. You can contact Brooke here. Thank you for sharing your beautiful work with us Brooke! They are lovely photos! Soft and feminine. Brooke's photography is beautiful. I hope I'll be as good as her one day! I actually had this idea a few years ago. My sister was thinking of starting her own business and her boyfriend at the time was a photographer so I pitched it to them, but they just didn't have the start up money. I'm glad to see that it could work though. And with Brooke's talent she is probably super successful. Brooke, what an amazing talent. How I wish you were living in Washington DC!